Recent spring storms have turned the sunset skies a strange array of shades at once. Last Thursday the mix of clouds in all directions looked like they floated off the set of a Neverending Story movie and into my neighborhood. Julie of Mermaiden Creations captured the magical twilight hour before the fall of a full moon night in a Fantasy Artists of Etsy team collection. Amongst the hues of purple glimmers a gossamer filigree leather butterfly mask, a Book of Shadows hand painted keepsake box, and my unicorn bookmark. Just because they are pretty! Some nice hues in there. Your unicorn has the nice warm inviting yellows and oranges though, so it stands out perfectly! 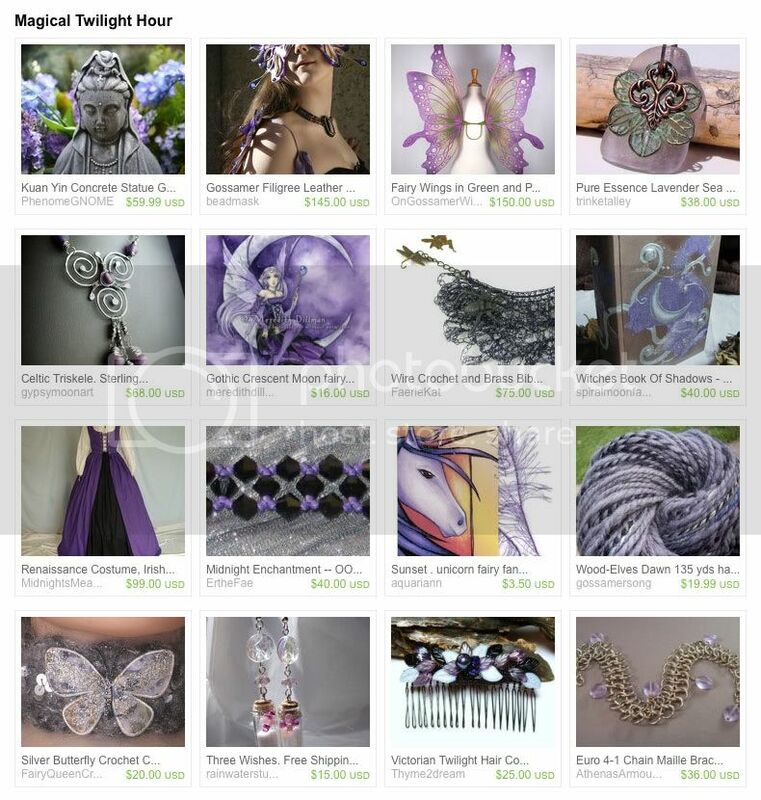 love the mystic purple in the first treasury!